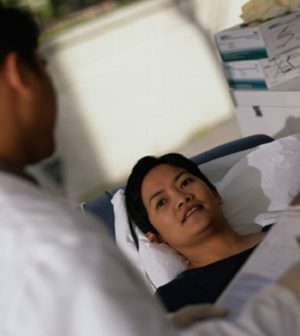 Most cancer specialists are comfortable treating LGBTQ patients, but many aren’t confident in their knowledge about these patients’ specific health needs, a new survey finds. “Cancer care within the LGBTQ community is a largely ignored public health issue,” said Gwendolyn Quinn, a professor in the Departments of Obstetrics and Gynecology and Population Health at NYU Langone Health in New York City. “To address this problem, we have to start by understanding the gaps in knowledge among physicians,” Quinn added in an NYU news release. The majority said they were comfortable treating lesbian, gay or bisexual patients, but only half felt confident in their knowledge of these patients’ health needs. The survey also found that nearly 83 percent said they were comfortable treating transgender patients, but only 37 percent felt they knew enough to do so. The U.S. Centers for Disease Control and Prevention has more on LGBT health.